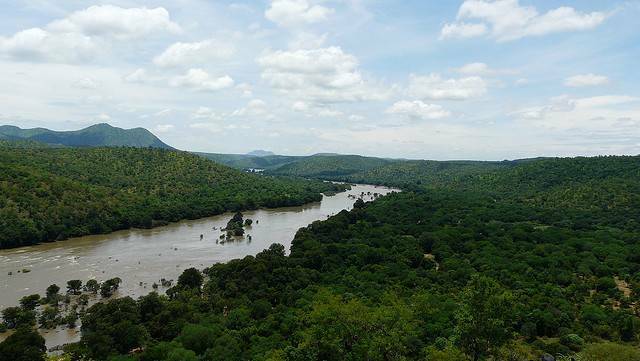 Bheemeshwari is an ideal picnic spot situated amidst of Shivanasamudra Falls and Mekedatu Falls on the banks of River Cauvery. Bheemeshwari is gift of mother nature for Mahseer Fish and other animals too. Jungle Lodges Enterprises conducts a Kaveri Fishing Camp in Bheemeshwari which attracts adventure lovers and anglers a lot. Elephants, Boars, Jackal, Crocodiles, and Deer etc are other habitats which can be spotted casually in Bheemeshwari. You can book the Tented Cottages and Log huts which belong to Jungle Lodges Enterprises in Bheemeshwari.